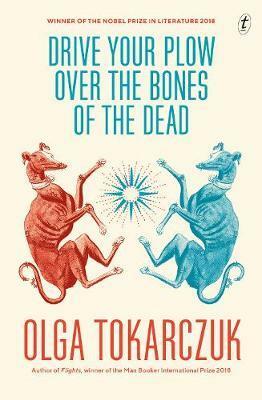 Drive Your Plow Over the Bones of the Dead takes place in a remote Polish village, where Duszejko, an eccentric woman in her sixties, recounts the events surrounding the disappearance of her two dogs. When members of a local hunting club are found murdered, she becomes involved in the investigation. Duszejko is reclusive, preferring the company of animals to people; she’s unconventional, believing in the stars, and she is fond of the poetry of William Blake, from whose work the title of the book is taken. Filled with wonderful characters like Oddball, Big Foot, Black Coat, Dizzy and Boros, this subversive, entertaining noir novel, by ‘one of Europe’s major humanist writers' (Guardian), offers thought-provoking ideas on our perceptions of madness, injustice against marginalised people, animal rights, the hypocrisy of traditional religion, belief in predestination-and getting away with murder.